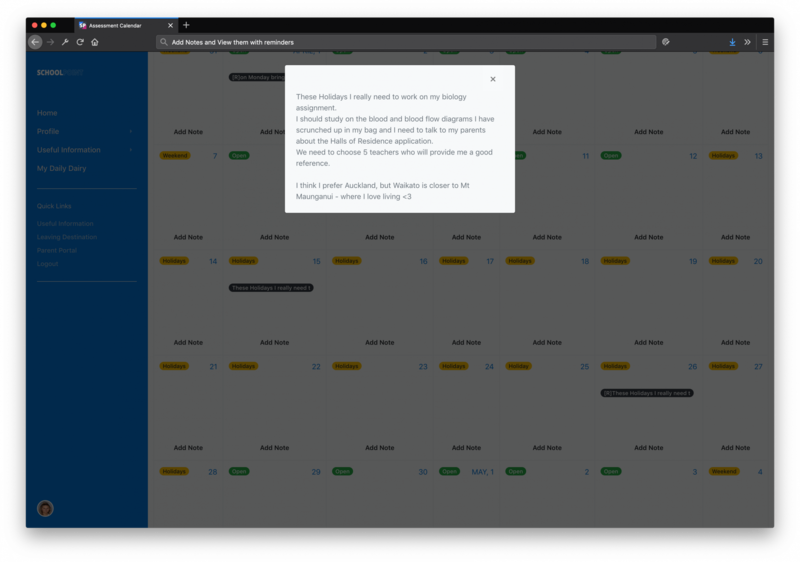 Students have the ability to create daily notes in their Assessment Calendar. 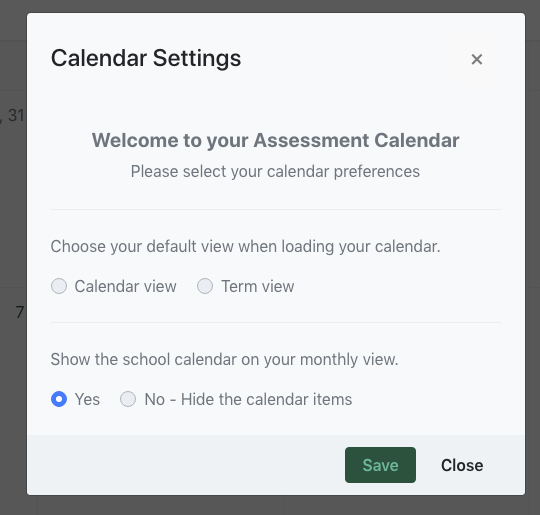 Students have the ability to view daily / monthly assessments, as well as the School status (Open/Holiday/Staff Only) in their Assessment Calendar. 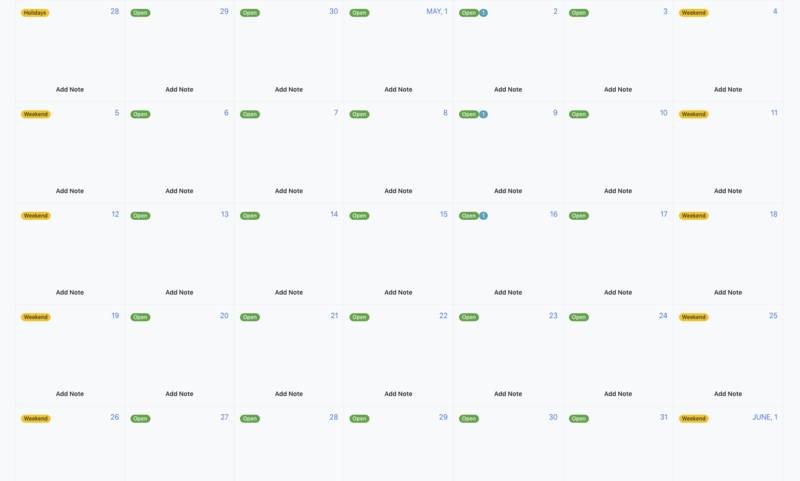 => Select "Add Note" on the day that you would like to add your note to. 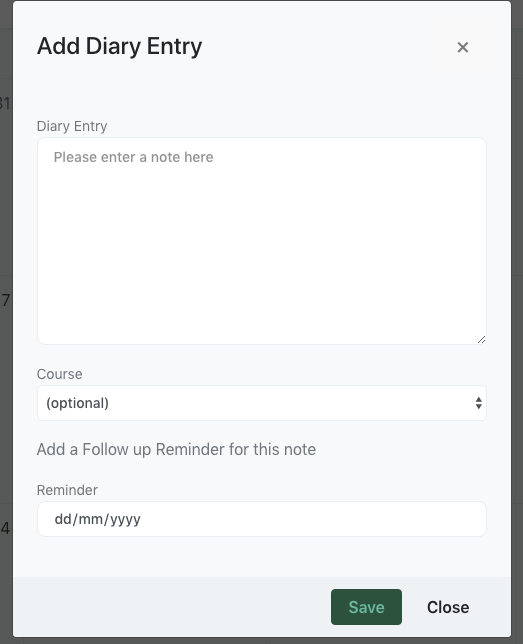 => Complete the fields for your Diary Entry. 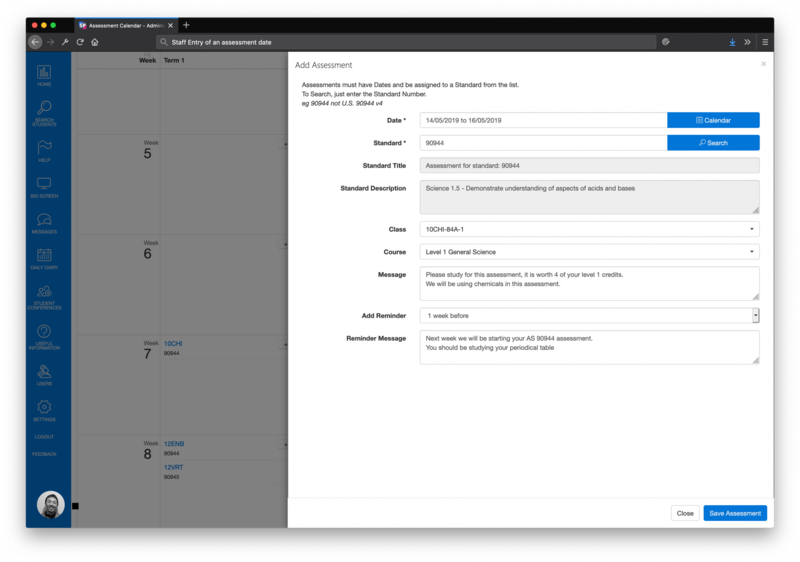 Note: You can add notes / links or other information and optionally tag it to a course and set yourself a reminder date in the future. 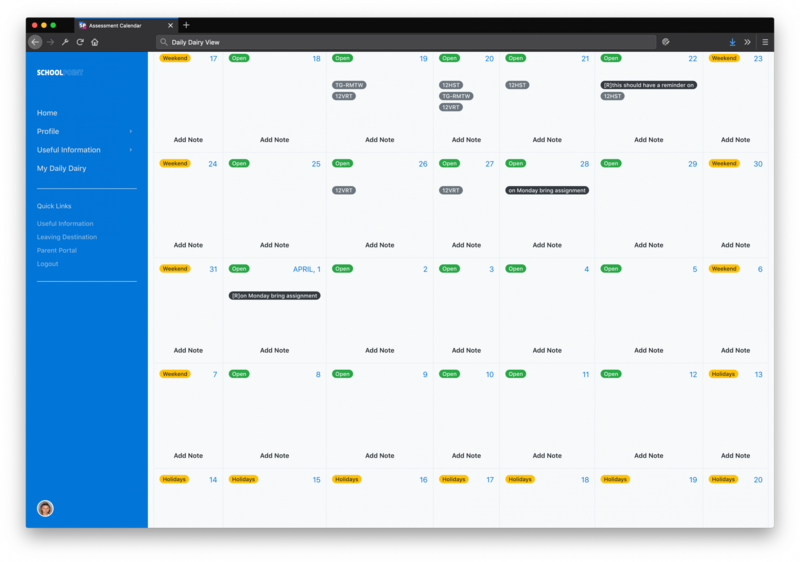 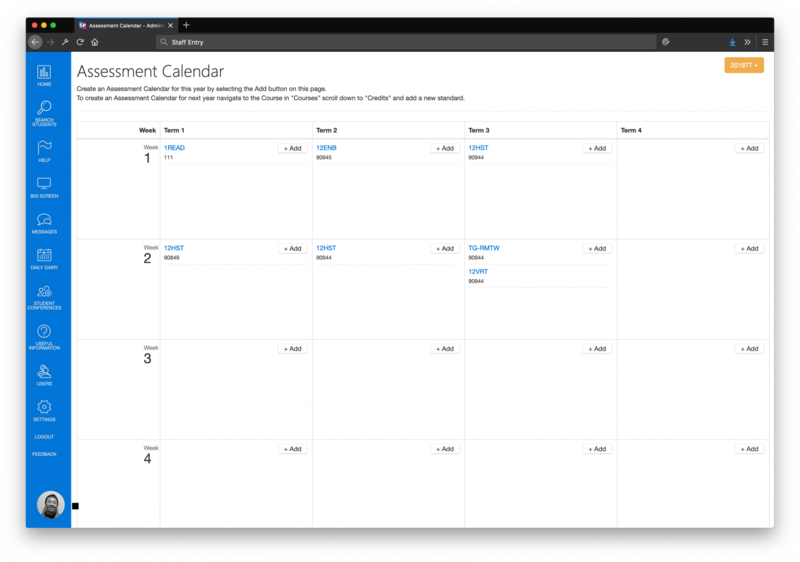 => Full Calendar vs Term: Change the calendar to display the full calendar or to display by Term - navigate to the top right of your calendar, click on the cog icon and select your preferred view. 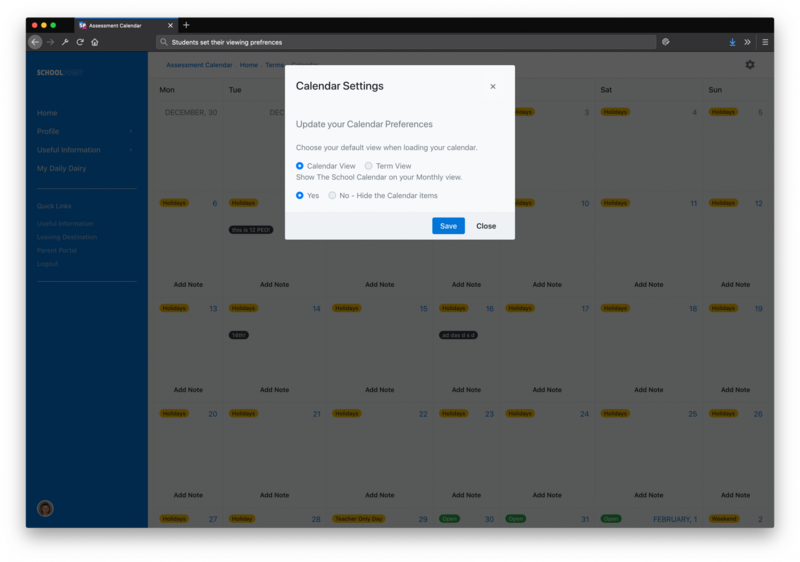 => Show School Calendar vs hide School Calendar: navigate to the top right of your calendar, click on the cog icon and select your preferred view.